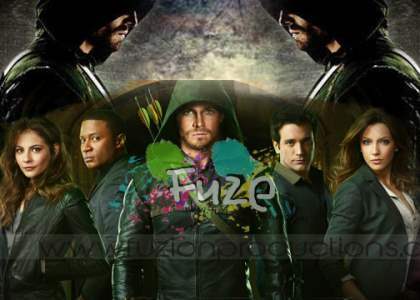 The first season left audiences wondering whether this particular show had anything at all to do with the DC world; but by the end of last week’s episode, Broken Dolls, it was evident that CW’s hit superhero based show, Arrow, heavy handedly hinted the presence of other DC Comics characters. The final moments of the show revealed the blonde – masked vigilante popularly known as the Black Canary (Caity Lotz). The iconic character was introduced with a bang, which included her signature sonic scream. Yes! The scream that says it all. Following up with the previous episode, Oliver (Stephen Amell) is headed to the police station to surrender himself, which does not happen due to the Black Canary’s intervention. They have a successful escape through an alley where Oliver compliments her mask. Along with the Black Canary, this season also made eleven other references connecting Oliverto the mystical world of DC. Next Wednesday’s episode, “The Crucible” takes the story one step further as Oliver comes to know that the Mayor (guest star Cle Bennet) is smuggling guns into The Glade. In order to stop the citizens of Glade from destruction, Oliver arranges for a “Cash For Guns” event in order to clean up the city. His plan renders unsuccessful when the Mayor crashes the event with intentions to harm the people. In the process, Black Canary’s good friend, Sin ( Bex taylor-Klaus) is injured, leading to her alliance with Oliver yet again. Despite the efforts, Arrow still has a lot to prove to its audience in the second season. Let’s see if this episode has what it takes. Catch iton Wednesday night at 8 PM and stay tuned to Fuze for further updates.